that whole incident mentally knocked me out to the point where hubs was even concerned about my behavior. i wasn't able to destress, and i was losing interest in things that i would consider stress relievers, like LJ, youtube and movies. i was also constantly forgetting things and just not "thinking right". then, i'd end up crying at the drop of a hat. i'm usually like that when i'm on my period, but my period had stopped a week before this, so hubs knew something might be wrong with me. he put his foot down and told me to drop some of my classes. i work on Sundays, so he told me to take my Sunday's off in December. originally, i wanted to do that since i'd only have two Sunday classes compared to my usual four, but hubs actually talked me out of that mindset since there wasn't a particular reason to stop earning that extra cash. now that December is really here though, i'm actually glad that i have a couple of Sundays off since i totally forgot about new year's cleaning (お掃除)! then there are Christmas parties at work, at school, at Kay's school, with friends, along with end of the year parties (忘年会), etc. kind of overwhelming... so, hopefully those Sundays will help me get my head on straight again. belated rabbit rabbit; new bread maker of awesome! speaking of hubs, he got that bread maker i posted about last time. it arrived last week and he's been having a FIELD DAY with it ^_^ it's funny how much he looks like a kid when the bread is baking. the reason why we decided on getting a bread maker is because it saves us money since our household eats more bread than a usual Japanese family, so it adds up to a lot even if the 6 piece or 5 piece loaves are around 70 yen at the store. however, since we get the ingredients in bulk, it saves us a lot in the long run. also, we know what goes into the bread we make. hubs has calculated the cost of making a small loaf at home each time, and he says that it averages around 85 yen for a regular loaf of white bread (5-6 pieces). so, if the store bought bread is lower than it's production cost, what in the world are they putting in the bread? ya know? ^_^;; well, that's what hubs is saying. Halloween 2013! ; hub's recent purchases; meeting a youtube star! Kay was a princess this year. i originally wanted for her to be a cat (i bought the ears at Daiso and everything!) since i was a cat as well, but she opted to wear her gown. all for the better since this will probably be the last time she'll be able to wear this dress (my mom bought it for her two Christmases ago). moving on, hubs has recently made a few big purchases from his favorite amazon.jp ^_^;; so now, we actually have a Casio keyboard in our home! i actually was against getting one, because it is quite big, and i'm just thinking that it's one more piece of furniture that we have to move when we eventually move house, ykwim? that's the down side of always renting a place instead of having your own house/apt. 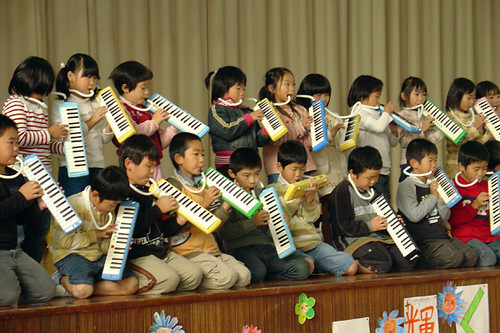 hubs explained that in Japan, elementary kids start music classes really early, and it really benefits them if they have some sort of music "sense" by learning some sort of instrument. i don't doubt that at all since i grew up in an Asian family, and i had learned piano and harp when i was a kid. however, look at me now! i have utterly no use for either of those talents, and even hated it when i was a kid. plus, i was never good at either instrument and i've pretty much forgotten how to play the harp... :P i actually want Kay to learn guitar, because it's more practical, but i guess everything has to start with the piano... :P in other words, i don't think learning the piano will benefit her much in life, but who knows *shrug*. for now, Kay is just using the keyboard (it's portable and has no stand) more or less like a toy or a music player. however, her hoikuen does have a biiiiig music recital that she will participate in at the end of November. she's going to play a rendition of Verdi's "Aida" a.k.a. the "Triumphal March" with her class and the Himawari-kumi on their pianicas, xylophones, and drums in front of hundreds of parents. according to one of my mamatomo, this is the next big thing after their Sport's Day. Osaka; first birthday party; Kay's Bazaar; Randoseru is here!!! we've been giving Kay an allowance of 50 yen each week starting this month, and she bought this little cell phone strap with her allowance. it cost her almost all of it (450 yen), but she was soo happy to buy something with her own money! ^_^ that was the highlight of that trip, i think. my friend's party was really awesome. the theme was of the Disney Fairies, so all the girls dressed up in fairy costumes! it was so cute!!! my friend made all the decorations by hand and the cake was also her handiwork too! totally awesome!! ^_^ we had a really great time! so with all the shipping and handling included, we got this Randoseru for around 15,000 yen :) my only gripe about it is that it's just a wee bit smaller than i'd imagined, but it's all good :) i really like how the color looks on her. originally, we thought that she'd look nice with a lighter pink, but on that Monday when we were trying on different Randoseru, i realized that it didn't suit her as well as the bolder pinks. :) just goes to show you that when buying one of these, you HAVE GOT to go and look at them yourself. it's almost like buying a pair of shoes or a sofa or whatnot. this Randoseru is actually the first for all three of us, so we're all totally STOKED! hubs never had one when he was in elementary school, because he was born and raised in Hokkaido for the first half of his elementary school, and apparently, they didn't require them back then up there. so, when he moved to Yokohama, he was the only kid without one in his entire school :P his parents couldn't get him a new one because times were hard for their family then, so he spent the remainder of his elementary school years without one. anyhoo, i'm glad that's pretty much over and my prayers were answered in that i was totally back to my healthy self for this Monday's get together with some of my mamatomo! like i said last time, we need to look for a randoseru for Kay. since other moms here are also shopping around, i decided to ask if they wanted to make it an outing for the kids. they thought it was a great idea, so we ended up having 5 moms and their kids shopping at Aeon and this other furniture store for randoserus. ^_^;; we were pretty rowdy, but fortunately, it was early in the morning, so there weren't that many people around. i figured out what Kay liked, and jotted some brands, prices and product numbers down to go home and research about later. after a quick lunch at McD's, we all went to one of the moms' house and all played there for the rest of the afternoon. the kids were playing quite nicely on the first floor, while us moms just chilled and talked on the second floor where they had their kitchen and dining area. i was very surprised and relieved to know that everyone there understood English and could communicate more or less with English, so i did a lot of the talking mostly. things kind of simmered down and the kids got a bit tired after 3:30. we were starting to run out of topics to talk about, so i thought that it might be good for Kay and i to leave at around 4:00. the other moms thought it was probably time for them to get home too, so everyone thanked the host for her hospitality and left at around 4:15.
sigh, yet another rabbit rabbit post late all because i've been sick as a dog this past week. i haven't been to the doctors because my busy schedule has picked up again, and also because i'm just generally lazy and just hate getting out of the apartment, so i just rely on the med i brought back from Taipei last year (Panadol). i mean, that's the reason why we stocked up on so much of them. i've already gone through one of the 4 packs that we have, and i would try the Robitussin that we also bought, but the Panadol seems to work better than the Robitussin cold. although, Robitussin is still best when it comes to coughing. i just don't like taking it during the day because it makes me drowsy. the next time i have off will be the 14th this month. i've already asked the two mamatomo i hung out with last month to go "randoseru" shopping with me. a randoseru is the Japanese pronunciation of a "ransel", which is Norwegian for "backpack", and it is the designated backpack for all elementary schoolers here in Japan. it's very important that you buy a good one, because your child will be using the same one for the entire 6 years he/she is in elementary school ^_^;; so, it's a reeeeaaaaaallly big deal here, and they sure don't come cheap... :P hubs put me in charge of taking Kay to go find one that she liked and then we'll probably search online for the same kind at a cheaper price. i've still got to get through this week, so we'll see if i survive work or this cold or whatnot... ^_^;; wish me luck! work has been bearable. it's always harder after a longer break to get into the swing of things again. it's a bit more harder this time around because of parent observation days all this week and a bad habit in the form of going to bed late. hopefully, i'll be able to get my groove back, so i can get out of the mindset of just counting down the days until my next day off... that's never a good sign when you're working... :( wish me luck! so, i mentioned last week that i had a good Sunday. :) i still had to work that day, but since my class is in the afternoon, i normally use the time in the morning to run errands, prep for my classes, do chores, etc. 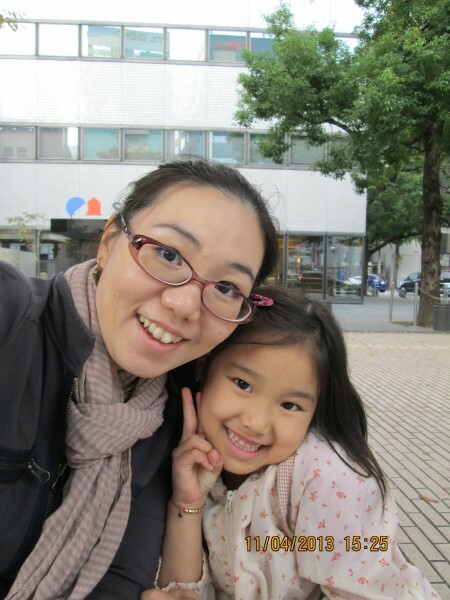 that Sunday, i had a dentist appointment and since hubs went on his little trek to Kitakyushu by himself, i had to take Kay along with me. i'd booked the earliest 9:30 appointment, so Kay went with me and stayed in the lobby while i got one of my fillings changed. i had my old filling taken out the week before and just had a temporary wax covering over the gaping whole in my tooth, so i couldn't chew or even brush that side of my mouth for seven days!! man oh man, was i happy to have everything filled in and done afterward! which brings me back to today! since i work seven days a week, i only have time off when there's a national holiday that closes any of my eikaiwas or elementary schools. it so happens that today is Respect the Elderly Day, so i get the day off. the two moms that i met before set up a playdate at one of their houses and that's what we did today! :D i brought over some banana cake and pumpkin cake that hubs and i made with our rice cooker (Japanese recipe for banana cake here), and the moms also prepared a lot of snacks for everyone as well. i think my favorite was the cream puffs and cookies that both the moms bought. ^_^ they were so super nice and they're English was great, so communicating wasn't a problem :) the kids had so much fun that they ended up making a whole bunch of noise running around chasing each other and really broke a sweat ^_^;; us three mommies sat around chatting about things from the hoikuen, to what our children were learning extra, and even talked about elementary school prep for next year. time just flew by and in a blink of an eye, it was around 4:30! one of the moms took us home in her car since she also lives in our area, which was super nice and super fast for us :D we were back home within five min! i didn't see them until i came home at around 6:00 and you should have seen how tan they had gotten just from being out all day that day ^_^;; Kay is now a couple shades darker :P she had a lot of fun and while we were watching the videos together that night, she was dancing along to the whole thing. those teachers that helped all these kids learn these routines are totally awesome!! ^_^ i'm soo proud of my little girl!! after having about 1/3 of my class time wasted trying to deal with all these trouble making kids, we finally got an English activity going wherein i asked the boy who was outside if he wanted to join. he said "no", but i knew he wanted to play the game we were doing, so i led him in and he behaved for the rest of the class. the other two boys came back at the end of my lesson though since the Japanese teacher had a talk with them to get to the root of the fight. where was the home room teacher this whole time, you ask?